March 17 – Claremont Pie Festival: A fun-filled day for pie lovers, featuring bakers and makers demonstrations, pie baking and pie eating contests, artisan vendor booths, classic car show, and more. Organized by I Like Pie Bake Shop. 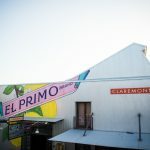 April 28 – A Taste of Claremont: Enjoy Claremont’s finest cuisine, wine, and spirits at this fundraiser as local establishments dish up their very best. April 28-July 29 – Butterfly Pavilion at Rancho Santa Ana Botanic Garden: Housed in the 86-acre botanic garden, home to the largest collection of native California flora, visitors can walk among butterflies, caterpillars, and the California native plants they depend on for food and nectar. May 17 – 10th Annual Claremont Film Festival: This event features the finest in documentaries and shorts from around the world. Visit ClaremontFilmFest.com for information. May 19 – Claremont Folk Festival, presented by Folk Music Center: Located at the stunning Sontag Greek Theater at Pomona College, festival-goers will enjoy a full day of music, workshops, vendors, food and beverages, and more for the entire family. Visit FolkMusicCenter.com for tickets to this 34th annual event. June – Butterflies and Brews at Rancho Santa Ana Botanic Garden: Local musicians provide the soundtrack as guests walk among butterflies on Friday nights in June. June 2 – Claremont Village Craft Beer Walk: Claremont Village businesses will serve as craft beer tasting and food sampling sites while entertainment rocks the Village at numerous locations. July 12-22 – Midsummer Shakespeare Festival, presented by Ophelia’s Jump: Under the stars at Pomona College’s outdoor Sontag Greek Theater, Ophelia’s Jump will perform “As You Like It” and “Romeo & Juliet: An ASL Love Story” (performed in English and American Sign Language) in repertory. Claremont hotels will offer a special “Room and Bard” package that includes festival tickets, a picnic-for-two, and other benefits. 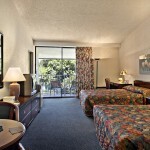 Visit DiscoverClaremont.com/specials for hotel specials; find festival tickets at OpheliasJump.org . September 8 – Claremont Village Wine Walk: Claremont Village businesses will be serving wine and offering food tastings. Live music performances will be held throughout the Village. October 19 to April 2019 – Origami in the Garden: Rancho Santa Ana Botanic Garden will host this curated exhibition of pedestal-sized and larger sculptures, created by American artists Jennifer and Kevin Box and others, that tells the story of Origami in museum quality metals. October 27 – Village Venture Arts & Crafts Faire: Autumn’s largest arts & crafts fair in the Inland Empire. Get holiday shopping done early as you walk the streets of the Claremont Village lined with over 400 booths selling unique art, original crafts, and apparel. Stop by the food court for an array of international foods and entertainment, and the beer and wine garden to sample local brews. 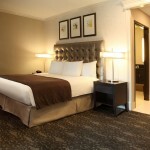 Overnight visitors to Claremont can choose from a range of lodging. 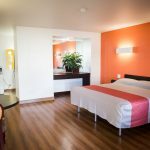 In the Claremont Village, the boutique Hotel Casa 425 features rooms that open onto a tranquil courtyard; on Historic Route 66, the resort-like DoubleTree by Hilton Hotel Claremont offers a large pool, perfect for cooling off during the summer. Both hotels feature uniquely styled rooms and top-notch dining. 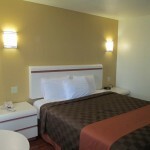 Budget-minded tourists will find Claremont Lodge, Knights Inn Claremont, and Motel 6 Claremont along Interstate 10, each featuring outdoor pools.